Thaw and drain the frozen spinach squeezing out the excess moisture. Pat dry with paper towels then take a pair of scissors and cut up even finer. Mix all five ingredients and let rest in the fridge for a few hours so the soup mix will soften up and flavor everything. 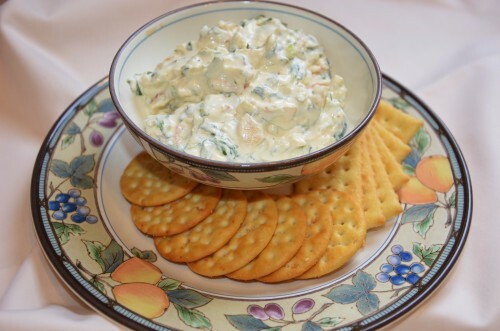 Serve with crackers, torn up bread, or cut up veggies.